An award caliber procrastinator discovers a new and dangerous pursuit to keep him from actually writing another script. Why another Blog? I love to talk screenwriting. I love to talk story. I live in Richmond, VA. It's almost easier to get produced than find another screenwriter here. We are the anti-LA. There are stories in just about all kinds of formats, one of which, is song. I've been listening to David Wilcox for years now (no, not constantly) and I'm talking about the American one, not the Canadian one (not that there's anything wrong with being Canadian) and (deep breath), one of the things he does best - infuriatingly well as a matter of fact, is tell stories. There's a song call "Eye of the Hurricane" which is all about a girl having an accident on a motorcycle. Kicker is, it's really a song about addiction. Then there's "Johnny's Camero" about a girl who goes to Africa and is taken to and from the airport by her boyfriend in his camero. But it's really about that moment in life that changes you forever. He has a bunch of them. It's inspiring to see how a great writer can tell you a story about one thing, yet be teaching you lesson about something else. It's what all the greats are inspired to do - hell, even Mel Gibson is inspired to do something great with film and he's "just" an actor (well, director now, too. Point is, we all have an opinion on something we believe to be important, the question is can you find away to put that into the form of a story? Odds are if you're passionate about something specific, then you're not the only one. Make a list of the things you are most passionate about and see if there is an argument to be made for or against any of them. If so, start looking for a story that you can tell that would prove your point. 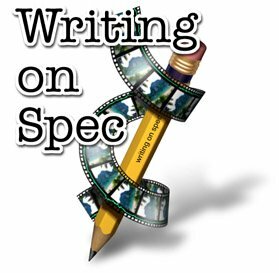 I've been writing for most of my life, but screenwriting for about 22 years. If I knew now how valuable time was, I'd have done a much better job of writing when I was single. How Come It's Not Getting Easier? Exactly What is a Great Script?